Before proceeding make sure no faulty codes are memorised in the original ECU, ADBLUE liquid is higher than the reserve level and the truck batteries are disconnected from the system. 3) GREY(+30). To be connected to a 24V supply always available to the existing adblue system (F109 protection fuse and the adblue system). It is important to connect the GREY ACTIVATION WIRE(+30) to a 24V source always available(battery), moreover, the soldering operation must be done between the 20A fuse(F109) and the existing adblue module. 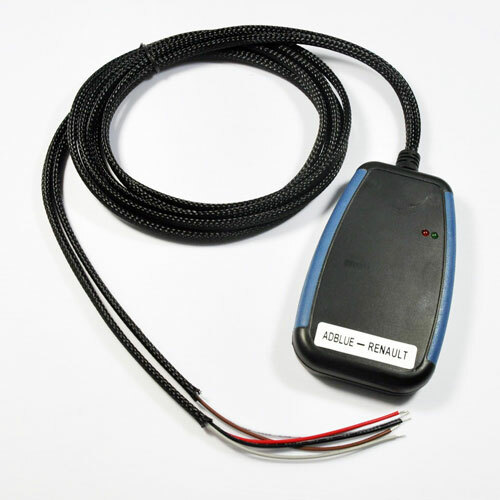 When the minusblue module is fully connected to the electrical circuit of the original adblue module, and after identification of the F109 fuse controlling the power feeding to the original adblue module the truck batteries can be Re-connected. 1) If the F109 fuse is installed the original adblue system will be working. Both red and green leds will be on. 2) If the F109 fuse is not installed the original adblue system will not be working and the minusblue module will be activated. Both red and Green led will be flashing.